Car symbols, or dashboard lights, are a car service reminder. The Suzuki Oil Life Monitor system indicates when and what service your car needs. Performing all scheduled and recommended maintenance on your Suzuki vehicle is imperative to keep it running well so you can avoid the many untimely, inconvenient, and possibly expensive repairs that come from neglect. Luckily, the days of the standardized manual maintenance schedule are coming to an end. 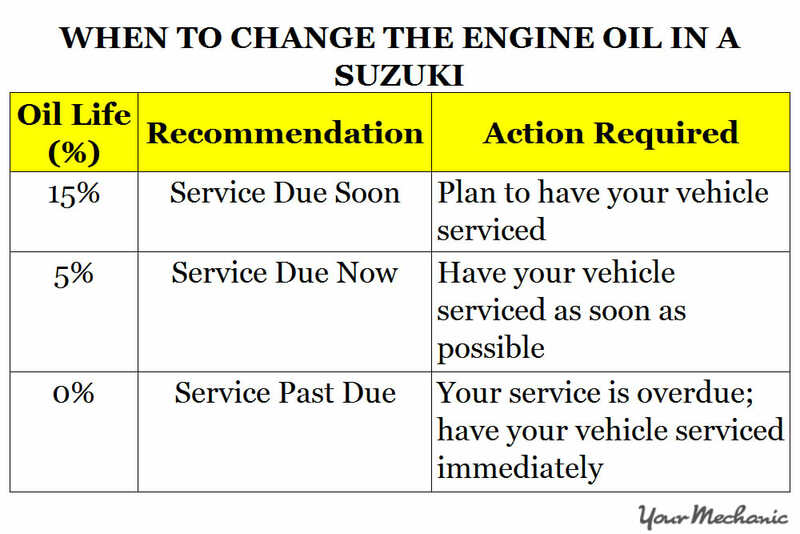 Your Suzuki might have one of two different kinds of maintenance reminder systems, depending on the vehicle’s year and model. Older models can be equipped with a mileage-based or interval-based reminder system that is triggered after a certain amount of miles, or a certain amount of time between maintenance periods, regardless of specific driving conditions and/or driving habits that can affect oil life, as listed below. Newer Suzuki models can be equipped with an oil life monitor system. The system automatically monitors the oil life in the vehicle using an advanced algorithm-driven, on-board computer system that alerts owners when it’s time for an oil change, so they can address the issue promptly and without hassle. When the service light is triggered, such as the “OIL” light located above the image of a wrench, all the owner has to do is schedule an appointment with a trusted mechanic, take the vehicle in for servicing, and a mechanic will take care of the rest; it’s that simple. 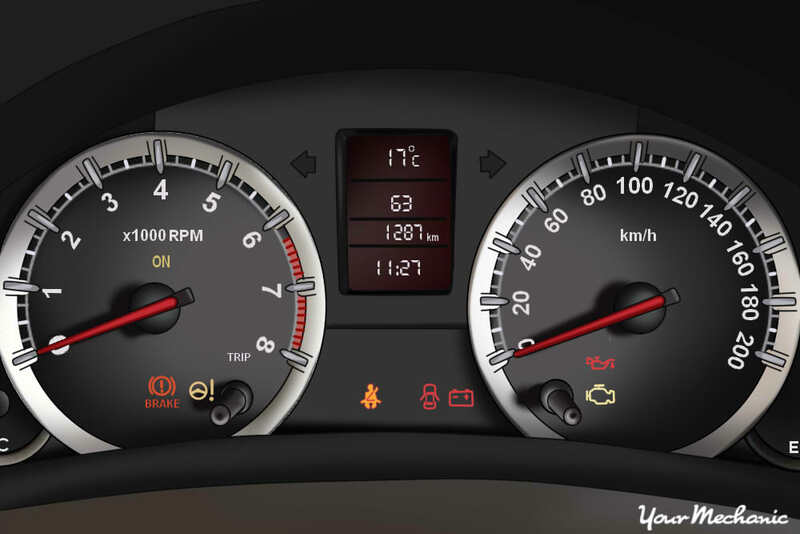 The oil life meter is located on the information display on the dashboard, and will count down from 100% oil life to 0% oil life as you continue to drive the vehicle; at a certain point the computer will trigger a reminder for you that it’s time for an oil change. Around the 15% oil life threshold, the computer will remind you, giving you ample time to plan ahead to have your vehicle serviced. It is important not to wait to have your vehicle serviced, especially once the indicator reads 0% oil life. If you do wait and servicing is overdue, you risk severe damage to the engine which could leave you stranded or worse. Suzuki vehicles - like most other vehicles - require an oil change at least once a year, whether the vehicle is seldom driven for short distances, or is a garage queen. If the oil life monitor has not triggered on your Suzuki for a year or more, take your vehicle in for servicing as soon as possible. When the “OIL” light is triggered and you schedule an appointment to have your vehicle serviced, Suzuki recommends a series of inspections that will help keep your car in good running order, as well as help prevent untimely and costly damages to the engine, depending on your driving habits and conditions. Suzuki has very model- and year-specific routine maintenance schedules for your vehicle. Click here and enter your model, year, and mileage to see what service package suits your vehicle now, or consult the owner’s manual. After your oil change and servicing is complete, you might need to reset the oil life monitor system in your Suzuki. Some servicers will neglect to do this, which can lead to premature and unnecessary service light triggers. There are many different ways this light can be reset depending on your model and year. Consult the owner’s manual on how to do this for your Suzuki. 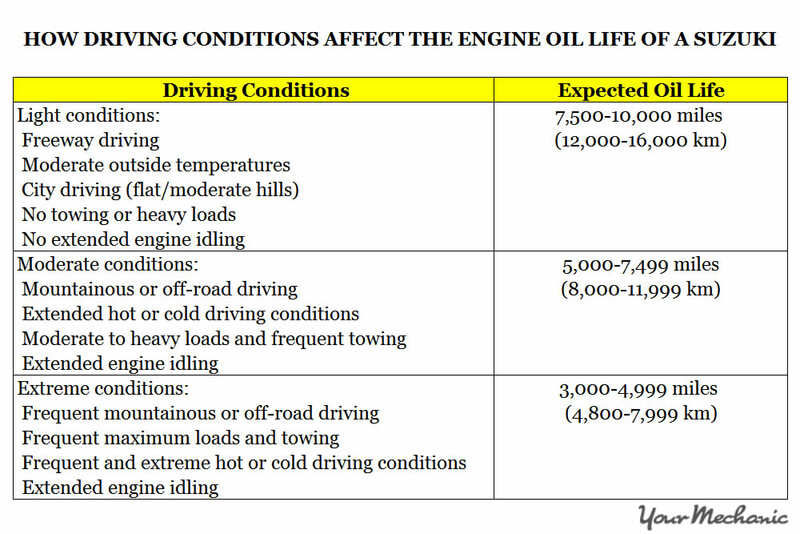 While the engine oil percentages are calculated according to an algorithm that takes into account driving styles and other specific driving conditions, other maintenance information is based on standard time tables such as those in old-school maintenance schedules, located in the owner’s manual, or by clicking here and entering the vehicle’s information. Proper maintenance service will greatly extend the life of a vehicle, ensuring it is reliable, safe to drive, covered by the manufacturer’s warranty, and it also provides a greater resale value. Such maintenance tasks should always be performed by a qualified technician. If you have any doubts as to what the Suzuki oil life monitor system means or what services your vehicle may need, do not hesitate to contact our experienced professionals for advice. If your Suzuki’s oil life monitor system is indicating that your vehicle is ready for servicing, have it checked out by a certified mechanic, such as one from YourMechanic. Click here, choose your vehicle and service or service package, and book an appointment with us today. One of our certified mechanics will come to your home or office to service your vehicle. Q: My car has done 37,500 miles service but it only has 33,300 miles, what kind of maintenance do I need? Q: I have a Mercedes Benz C230 and am seeing an indicator on the dash board that "A check in 5500 miles". Pls what does this mean?